The former Valkenburg airfield would be an ideal place for an Unmanned Valley, in which businesses, knowledge institutions, and government institutions can cooperate to further develop unmanned systems. This was brought forward by Deputy-Mayor of The Hague Ingrid van Engelshoven at the opening of the TUSExpo in The Hague. This is the first conference in Europe entirely dedicated to Unmanned Aerial Vehicles, also known as drones. 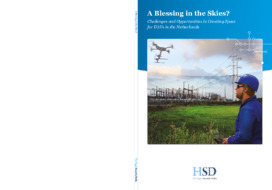 The Hague Security Delta’s report “A Blessing in the Skies? 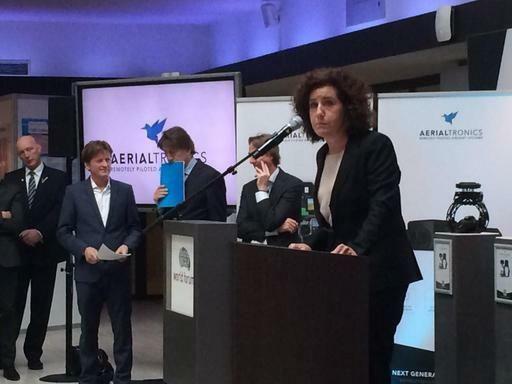 Challenges and Opportunities in Creating Space for UAVs in the Netherlands” endorses the Deputy-Mayor’s vision. The report contains concrete recommendations for the use of drones, including the importance of appropriate short and long term regulations and the development of special flight zones to test UAVs. The importance of cooperation between governments, the private sector, and knowledge institutions is emphasised as well. Read the report. A Blessing in the Skies?